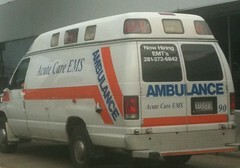 If your EMTs don’t know how to use english in a proper fashion is that good or bad? Posted on September 3, 2009, in 293. Bookmark the permalink. Leave a comment.